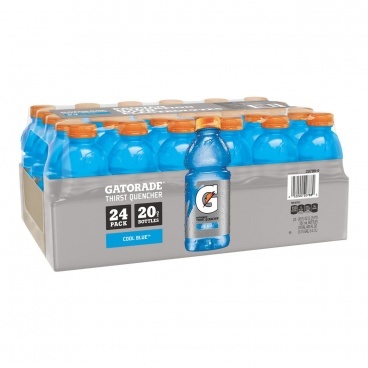 CASR BUY 24 BOTTLES - Thirst Quencher - 02 Perform - Cool Blue .Natural flavor. 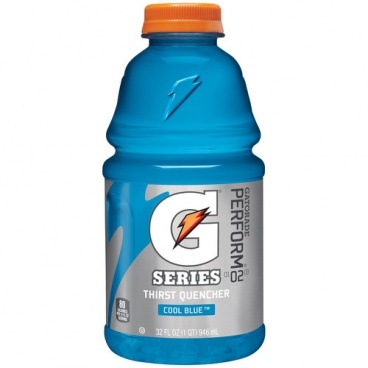 Electrolytes + carbs [14 g]., Replenish vital nutrients and energy. Drink to rehydrate, replenish, and refuel. And savor the sweat. For athletes. For performance. No fruit juice. Due to weight restrictions, can fit 2 cases (24 bottles ) only per shipping carton. Re-order as many times as you like. WATER, SUGAR, DEXTROSE, CITRIC ACID, NATURAL AND ARTIFICIAL FLAVOUR, SALT, SODIUM CITRATE, MONOPOTASSIUM PHOSPHATE, MODIFIED FOOD STARCH, GLYCEROL ESTER OF ROSIN **E133. Produced from genetically modified maize. **May have an adverse effect on activity & attention in children.